Gameplay-facilitating trainer for ARK: Survival Evolved . This trainer may not necessarily work with your copy of the game. 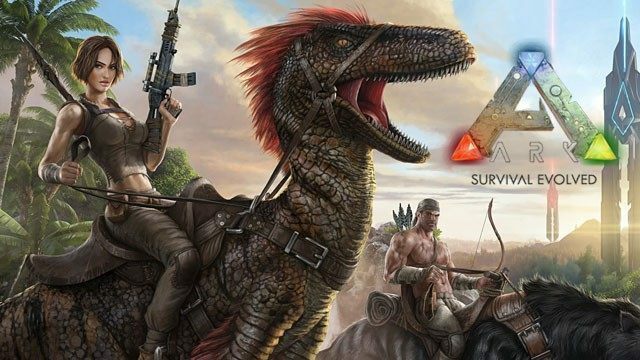 Available here: ARK: Survival Evolved Trainer. Trainer activation may take some time so be patience! Infinite Health: While active you have infinite health. Please note that any massive amount of damage may still kill you. This includes falling from high ground. Change Quantity Of Selected Item: Open your inventory and select an item, press hotkey to add more. Ignore Crafting Requirements: While active you can craft everything without needing to have the required items. Perfect Item Condition: While active items in your quickslot bar that have a condition bar have perfect condition. Other items without a condition bar for example spears can still break. One Hit Kills: While active MOST (not all!) dinos can be killed by a single or two hits. Dinos Cannot Attack: While active dinos will no longer attack. Unlimited Jumps: While active you can jump while being in the air for an unlimited time. Super Crafting Speed: While active you craft all items within a very short time. Time Of Day Multiplier: While active the current time of day is multiplied by 100x (default). You can change the amount by changing the editor value of 'Time Of Day Multiplier'. Inventory Items Won't Spoil: While active open your inventory and all items in your inventory won't spoil.